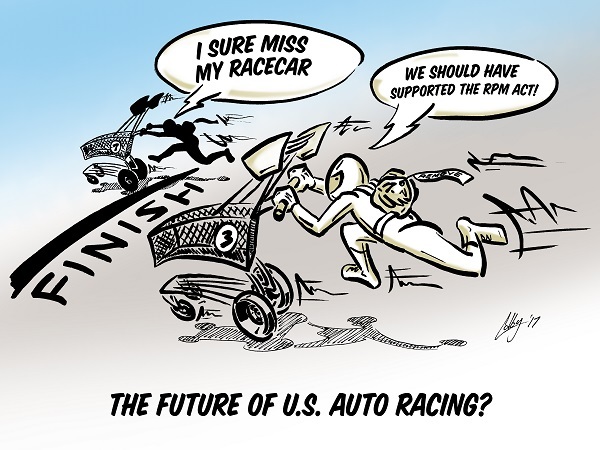 RPM Act: The U.S. Congress has heard the voice of enthusiasts and around the country and is working to pass the “Recognizing the Protection of Motorsports (RPM) Act.” The House Energy & Commerce Committee passed the bill in December and the Senate Environment & Public Works Committee reviewed the bill during a November committee hearing. The RPM Act clarifies that the Clean Air Act allows motor vehicles to be converted into dedicated race cars and that it is legal to produce, sell and install race parts for these vehicles. Passage of the RPM Act will protect sales beyond emissions-related parts, including racing tires, wheels, brakes, suspension equipment and roll cages. Passage of this bill is necessary to ensure that enthusiasts can continue to purchase and install these products on a car or motorcycle that is used exclusively for racing. National Monuments: The designation of national monuments is consequential to the SEMA Action Network (SAN) because national monument designations automatically prohibit new roads or trails for motorized vehicles and require a new land-management plan that could lead to more road closures. President Trump ordered the U.S. Department of Interior (DOI) to review up to 40 national monument designations dating back to 1996 and recommend whether any should be rescinded, resized or modified. The DOI recommended that 10 national monuments be modified, including a size reduction for four monuments: Grand Staircase-Escalante (1.88 million acres), Bears Ears (1.35 million acres), both in Utah, Nevada’s Gold Butte (300,000 acres) and Washington’s Cascade-Siskiyou (87,000 acres). President Trump used these reviews as the basis for signing proclamations to reduce the size of the Utah based Grand Staircase-Escalante and Bears Ears national monuments by more than 2 million acres. Boundary changes are also anticipated for Gold Butte and Cascade-Siskiyou, along with the California’s Castle Mountains (21,000 acres). At issue is the 110-year-old Antiquities Act, a law that gives the president authority to preserve land with significant natural, cultural or scientific features. Hundreds of millions of acres have been set aside over the decades leading many to question whether the footprints are larger than necessary. The SAN supports the current review along with legislation in the U.S. Congress to curtail the President’s power to unilaterally designate national monuments by requiring their approval by Congress and the impacted state legislature(s) to ensure motorized vehicles can use roads and trails. Gary Binge’s ‘68 Chevy C10 SWB enjoys a stunning October day in 2014 at Bull Run Battle Field Park. The ever-popular “K.I.S.S. principle” (Keep It Simple, Stupid) was followed on this project. “I wanted to strike a balance between vintage looks and modern ride with my truck,” Binge explains. The original body lines were retained and finished in a complementary, classic paint scheme. While underneath, a modern running gear and braking components are utilized for improved drivability. A 350 c.i. crate engine is dressed with performance equipment, connected to a 350 Turbo transmission and a 12-bolt rear end. “I lowered the ‘68 a little to handle the corners better and sit it down.” It’s dropped two inches all around with lowering springs and gas shocks. Radial tires are found on each corner as well. The wooden "Show Deck" that sits on top of the steel bed floor is among Gary’s favorite aspects of his ride. Planks of Carolina Ash were stained and covered in four coats of varnish, sanded between each coat. He and his wife installed the wood after it was finished on all sides. “I think it came out great and I take a lot of pride knowing that we did this together.” The truck’s interior is a mix of era-correct and modern styles. In addition to a chromed radio delete plate, custom touches include the gauges, dash, steering wheel, gas and dimmer pedals as well as the bench seat. Gary doesn’t call his automotive interest a “hobby”; he instead refers to it as a “passion.” “Antique vehicle owners like me are helping to keep history alive and provide education to the younger generations. Hopefully, we can inspire them to continue and find their own passion with an old car or truck.” He recently wrote his Virginia lawmakers in support of a bill that would exempt antique vehicles from exhaust requirements. “Belonging to the SEMA Action Network (SAN) has been invaluable. The group keeps me informed and lets me know how I can help keep this shared passion alive. It's important to show support for our interests by letting our elected leaders know that we represent an important voice.” The proposal was approved by the legislature and sent to the Governor for his signature and enactment into law. Nice advice, Gary! Your message to fellow four-wheeled fans is loud and clear—let’s hope your state’s antique exhaust law will follow suit.